I’ve made no secret that Final Fantasy XIV is my MMO of choice recently. (I’m even beginning to stream it on Twitch occasionally too, come hang out!) Recently a new feature was added that has raised a lot of legal questions (and ruffled the feathers of many legal opinion-havers on reddit and elsewhere online), so I thought I’d try to address a few of them. Bards Can Play Music Now?! The 4.15 patch for Final Fantasy XIV was released last week, and among its additions to the game is a new “Perform” action that allows Bards to actually play songs note by note on their harps in-game. This feature has been requested by many of the game’s players for some time, as Final Fantasy XIV features a relatively large community of dedicated role-players who enjoy acting out stories with other players within the game. A feature like this is just another way for such players to really get “in character” within the game (assuming that character happens to be musically inclined). While the game director’s intention with this feature might’ve been to give players the ability to play their own compositions (and/or melodies originally from FFXIV itself), I think we all knew what was going to happen as soon as this feature went live. The first time I logged into the game after patch 4.15, everywhere I walked I was within earshot of someone playing one of the ocarina songs from The Legend of Zelda: Ocarina of Time, and almost immediately there was a wiki up on reddit with various melodies. Therein lies a potential problem with this feature: musical works are protected by copyright, and music copyright in particular can be a tricky, complicated onion: there’s a bunch of layers (I almost typo’ed that to “lawyers,” which could also be accurate), and they can often lead to tears when not handled properly. I’m not sure what it is exactly about Star Wars games specifically that makes some people throw caution to the wind and completely disregard existing intellectual property laws, but here we are, the second time in recent memory that the development of an unlicensed Star Wars video game has made the rounds on various gaming news sites. And all that really does sound fantastic – fans of the original game would get to experience the game anew on modern machines, and people who missed it the first time around would get to be introduced to a classic game without having to look past the “classic” graphics and game design. Or, rather, it would be fantastic, if what they were doing was in any way legal, and if I wasn’t fairly certain a cease and desist letter (or worse) is headed their way at some point in the future. I… wasn’t exaggerating. This is actually what it says on their website. 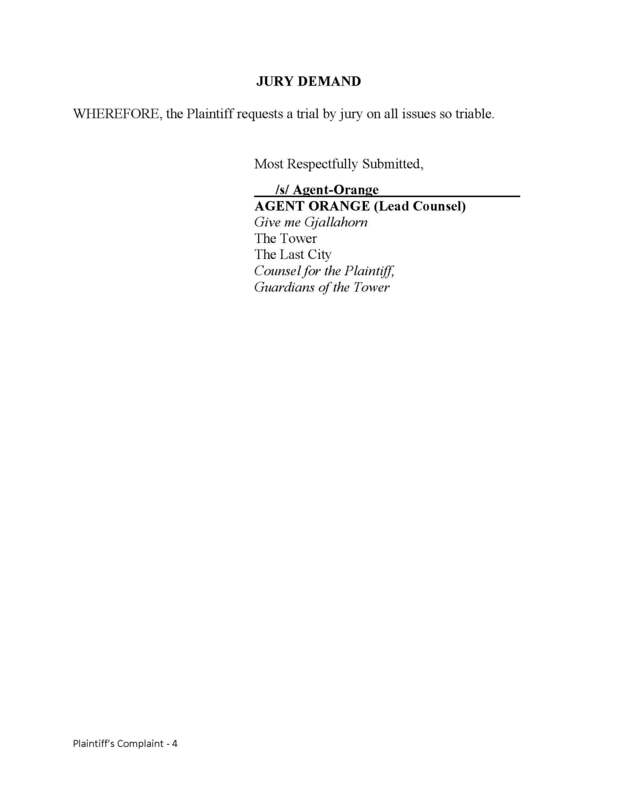 If you hadn’t already heard, Sony filed a trademark application for the phrase “Let’s Play,” and the Internet was not happy about it. I had the opportunity to give my $0.02 on the subject to Gamasutra recently, and now that the whole thing is more or less dead in the water, I thought I’d go ahead and put the rest of my thoughts down and help clear things up for anyone who might still be wondering about the whole trademark situation. Whenever some vague trademark filing makes headlines, invariably there will be a number of angry people who incredulously wave their pitchforks at the notion that an evil corporation would have the audacity to try to claim ownership over a common English word or phrase. In these situations, I usually advise restraint, as much of the hostility against such filings is often due to a misunderstanding of what trademark law is meant to accomplish. Contrary to what some people may think (including some trademark holders), getting a trademark on a word, phrase, or logo doesn’t mean you “own” that word, phrase, or logo; rather, it just means that you have the exclusive right to use that mark “in commerce” in connection with the specific type of goods or services you specified when you applied for the trademark. How trademarks are seen by many people. Previously I discussed why the adorably naive (and now cancelled) Star Wars open world RPG Kickstarter would not be able to use the Star Wars IP for his proposed game without the express permission of the copyright holder, Lucasfilm Ltd. Today I discuss the potential legal recourse a backer to a crowdfunding project has against a project organizer who fails to deliver on their promised rewards. By now you’ve likely heard about a Kickstarter campaign started by an impossibly optimistic 20 year old named Devin for an open world RPG set in the Star Wars universe. The ambitious Kickstarter campaign went viral almost immediately, and while that’s normally a great thing for the average crowdfunding campaign, in this case it probably just means that the whole thing will end up within range of the Disney/Lucasfilm legal department superweapon that much sooner, and it’ll take more than Devin’s adorable naivete (or trolling, maybe?) to stop it. 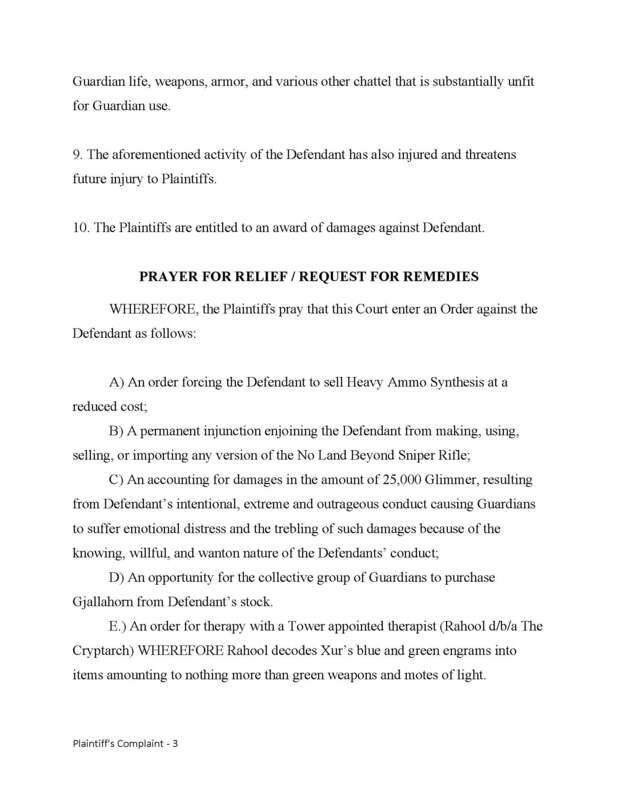 This is one of those things that’s so up my alley I’m kind of annoyed with myself that I didn’t think of it first, though I realize the target audience for it (the intersection of Destiny players and people interested in reading legal motions) might not be huge. Some context for people who might not play Destiny: Xûr is a NPC vendor that shows up in the Tower (the social hub of the game) on weekends to sell end-game weapons and armor. Xûr’s inventory is randomly generated every week, and this randomness is a common cause of grief for players looking for specific equipment to fill out their inventory. 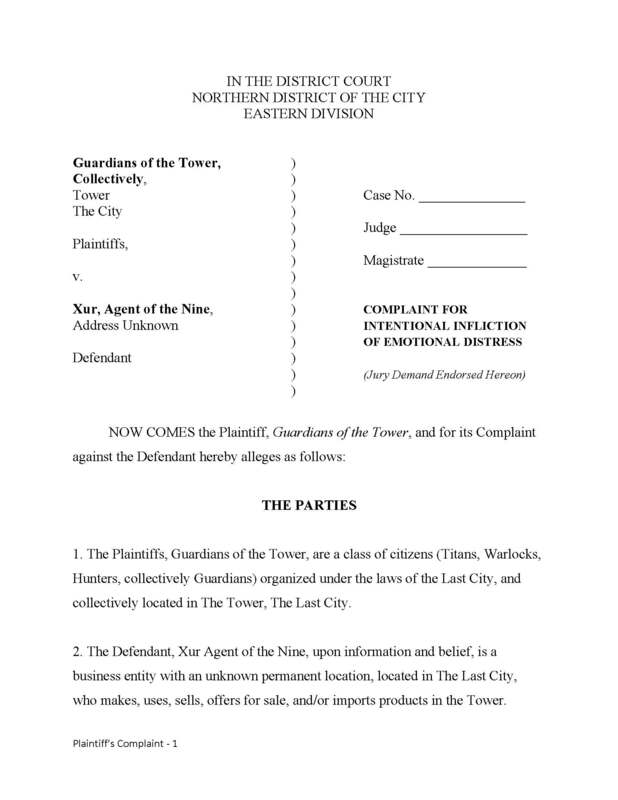 Well, reddit user Agent–Orange decided to take action on behalf of all the City’s Guardians and filed a class action suit against Xûr for intentional infliction of emotional distress. Some people reading this post might already be familiar with all of this, but recently I’ve been getting enough questions about the basics of intellectual property law that I thought writing up a brief primer would be helpful to some of the game devs, composers, artists, and everyone else out there. I’m not entirely sure why this image of Mother Brain came to mind when thinking about intellectual property, but here it is. When people use the word “property,” the image that comes to mind is usually something tangible, like potatoes or iPads. The law recognizes three broad categories of property: personal property, real property, and intellectual property. Personal property is stuff that is tangible and “moveable,” like aforementioned potatoes or iPads. Real property is tangible but not moveable, like land and buildings. Intellectual property is neither tangible nor moveable, like copyrights and trademarks. People are generally pretty accustomed to dealing with the first two – it’s that third category that tends to get people into trouble nowadays, so here’s a quick overview of the four general types of intellectual property. Copyrights protect creative works fixed to a tangible medium, like song recordings, literature, or paintings. Trademarks protect words, symbols, or designs that identify a source of goods. Patents protect useful, functional inventions. Trade secrets are devices or techniques that a company uses to manufacture its goods that aren’t generally known or ascertainable. The single most significant law affecting Ms. Croft’s globe-spanning archaeological pursuits is the UNESCO 1970 Convention on the Means of Prohibiting and Preventing the Illicit Import, Export and Transfer of Ownership of Cultural Property. The UNESCO 1970 Convention was drafted to combat the illicit trafficking of cultural artifacts by giving member nations the right to recover stolen or illegally exported antiquities from other member countries. 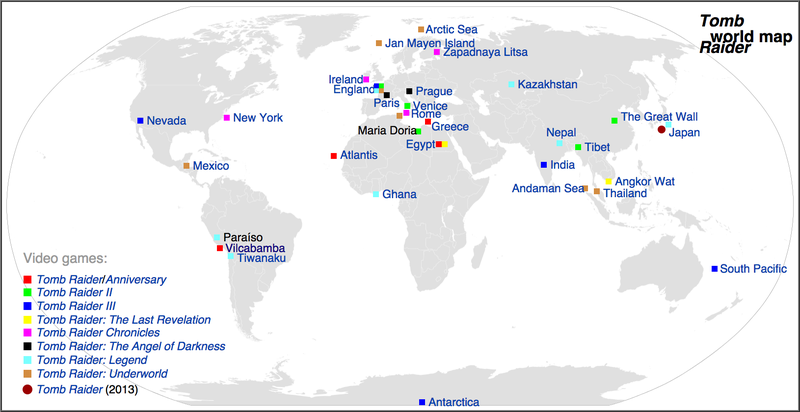 At the time of this writing, 124 nations are signatories to the treaty, including almost every nation that Lara Croft has visited during her various adventures (except for Tibet and Thailand). The United States ratified the UNESCO 1970 Convention and implemented it with the Convention on Cultural Property Implementation Act (CIPA), codified in 19 U.S.C. §§ 2601-13. Ms. Croft has certainly had an eventful career. That being said, the UNESCO 1970 Convention and CIPA only come into play if the items in question were in fact 1) cultural artifacts, and 2) stolen or illegally exported. While UNESCO provides model provisions regarding state ownership of cultural objects, such model provisions are not themselves legally binding, and it is up to each member nation to implement laws concerning the ownership and exportation of cultural artifacts. 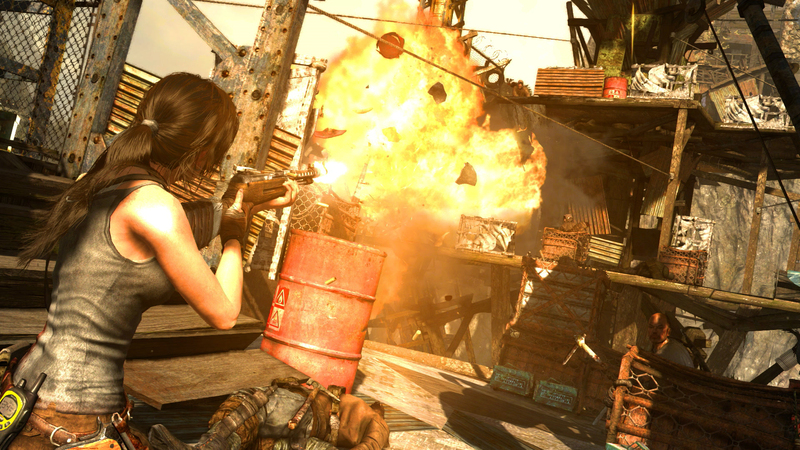 The question of whether or not Lara’s tomb raiding are illegal in the countries in which the tomb raiding is rather straightforward – the answer is almost certainly yes, as in each case she goes in without government sanction, guns blazing, often resulting in the complete destruction of the tomb in question. For example, in Egypt, Article 6 of Law 117 states that “[a]ll antiquities are considered to be public property . . . It is impermissible to own, possess or dispose of antiquities except pursuant to the conditions set forth in this law and its implementing regulations.” Furthermore, Article 41 states that anyone who “unlawfully smuggles an antiquity outside the Republic or participates in such an act shall be liable to a prison term with hard labor and a fine of not less than 5,000 and not more than 50,000 pounds.” There are prison terms and fines outlined for removing an antiquity from its place, for transporting it outside of Egypt without express government permission, and for defacing artifacts and monuments, all of which Lara does during her brief time in Egypt looking for the final piece of the Scion in the first Tomb Raider game. Is the Ark of the Covenant maybe the kind of thing that belongs in a museum, rather than someone’s foyer? The National Stolen Property Act (NSPA) prohibits the transportation “in interstate or foreign commerce [of] any goods, . . . of the value of $5,000 or more,” with knowledge that such goods were “stolen, converted or taken by fraud.” 18 U.S.C. § 2314. Enacted in 1948, the NSPA was originally intended to aid states in their pursuit of thieves, as the states’ ability to prosecute thieves was often limited when the thieves (or the property) would cross state lines. However, in addition to interstate commerce, the NSPA also specifically mentions foreign commerce, and as a result it has been applied to the illegal import of artifacts stolen from foreign nations. In United States v. McClain, the defendant was prosecuted under the NSPA for illegally importing several pre-Columbian artifacts from Mexico. On appeal, the defense argued that that the NSPA could only be applied if the artifacts were “stolen” as defined by the NSPA, and that the term “stolen” only covers “acts which result in the wrongful deprivation of rights of ‘ownership’ as that term is understood at common law. United States v. McClain, 545 F.2d 988, 994 (5th Cir. 1977). In other words, he couldn’t have stolen them if they weren’t officially owned by anyone. Because court could only establish that Mexico had officially declared its ownership interest over the artifacts in 1972, and it could not be established precisely when the defendant had exported the artifacts, the defendant was eventually acquitted of all but the conspiracy charges. The McCain decision was cited 25 years later, in Unites States v. Schultz, 333 F.3d 393 (2003), in which the defendant was also prosecuted under the NSPA for the receipt of stolen Egyptian antiquities. In Schultz, the court looked to a law passed in Egypt (“Law 117”) that declared all antiquities found in Egypt after 1983 to be the property of the Egyptian government, and upheld the defendant’s conviction. Schultz was sentenced to 33 months in prison and a fine of $50,000, and nearly all of the artifacts he received were returned to Egypt. On top of all the possible fines and jail time Lara Croft would likely face in each nation she visits in her tomb-raiding adventures, for each artifact she brings home she may also be prosecuted by the U.S. government for the transport of stolen goods under the National Stolen Property Act as long as the artifact’s nation of origin has enacted a law officially declaring state ownership of such artifacts. Furthermore, all of the various artifacts she retrieves will likely be returned to their nations of origin under the UNESCO 1970 Convention and CIPA. Well, for her sake hopefully Lara didn’t bring home THAT many arti… oh. 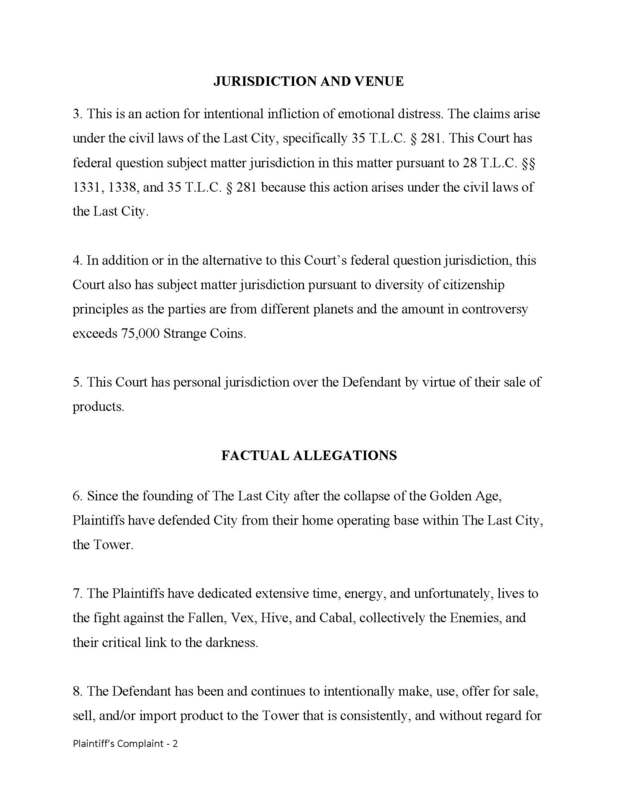 This analysis was focused specifically on the legal ramifications of the act of retrieving and transporting the artifacts central to the Tomb Raider games. 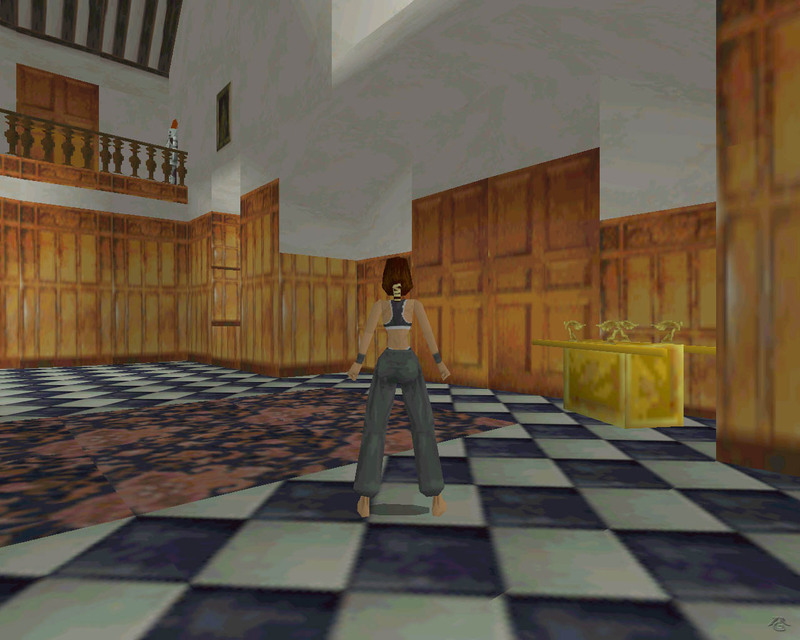 In the course of the first game alone, Lara Croft also breaks into the corporate headquarters of Natla Technologies, kills a number of endangered animals (like wolves and gorillas, not to mention the sasquatch and dinosaurs), and also straight up shoots a guy without (much) provocation. 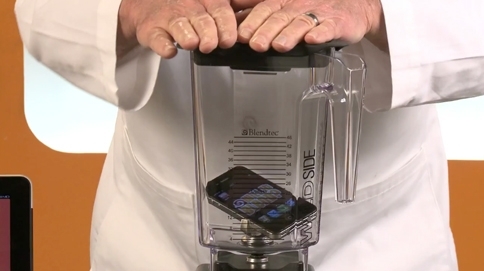 This isn’t what I had in mind when I asked you to blend a small apple. Now I know why this juice didn’t turn out at all as I expected. First, it’s important to establish what exactly a trademark is, and what the government’s purpose is in protecting them. Of the four broad swaths of intellectual property law (copyrights, patents, trademarks, and trade secrets), trademarks are unique in that their purpose is ostensibly to protect the consumer, not the holder of the trademark (at least, not directly). Unlike copyrights (which are meant to protect the rights of authors of creative works) and patents (which are meant to protect the rights of inventors), trademarks are meant to protect those of us in the public who want to go out into the market and buy things. When we prospective consumers go out into the world, we make our purchasing decisions based on a number of criteria, some objective (price, specifications, features/capabilities) and some subjective (aesthetics, status/cachet). The criterion that often holds the most sway for buyers is finding out who exactly is selling a particular product, as it can often encapsulate a lot of information about a product: its design philosophy, its manufacturing quality, its approximate price point, and so on. Company A has been selling widgets for many years and has an awesome reputation for the quality of its widgets. Company B wants to start selling widgets too, but it’s just starting out and has no marketing budget to speak of. Company B decides it would be a great “guerrilla marketing” idea to start selling their widgets as “Company A’s Widgets,” hoping to capitalize on Company A’s reputation for quality widgets. Obviously this is a bit shady of Company B, as the only reason Company B would do this is in the hopes that people will buy Company B widgets thinking that they were actually widgets from Company A. If Company B is allowed to get away with this, both the consumer and Company A potentially have a lot to lose: 1) if Company B’s widgets are of inferior quality compared to Company A’s widgets, then customers who buy these craptastic Company B widgets thinking they’re Company A widgets will be disappointed because they have a certain expectation of what they’ll get when they buy a Company A widget, and 2) Company A’s reputation for its kickass widgets will suffer the longer these Company B widgets are out there purporting to be Company A widgets. Trademarks exist to prevent this kind of situation. Company A should have a trademark in “Company A,” and this trademark would allow Company A to prevent any other company from selling widgets with their name on it. Company A’s reputation remains the bee’s knees, consumers get what they expect when they buy a widget that has the Company A name on it, and everyone is happy (except for Company B I guess, but they kinda seemed like douchebags anyway). That’s the basic rationale behind why trademarks are a thing. And this makes a certain amount of intuitive sense, when it comes to the more esoteric, made-up names for things (like Xerox, Kleenex, or Oreo) – if someone else started using those names on their own products, it would be pretty obvious what they were trying to accomplish, and it makes sense that there should be a way to prevent people from using those labels to market their own products. First, as explained above, the intent isn’t to completely prevent you from using these trademarked words – rather, a registered trademark simply allows the trademark holder to prevent you from using the trademarked words to sell a competing product. So you won’t be sued for trademark infringement just for using trademarked words in everyday speech or anything like that, but where you start to get into trouble is if you’re trying to use those trademarks to sell your own product, and your use of those trademarks might make someone think your products are actually someone else’s. Second, trademarks are limited in scope. 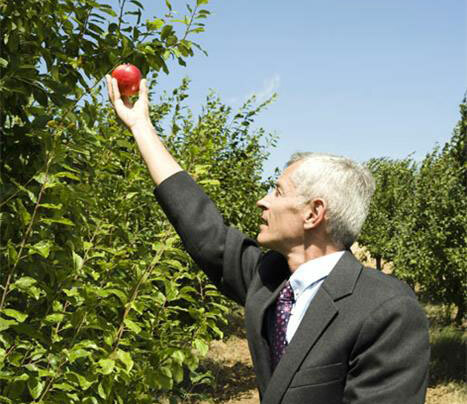 Apple’s trademark on the word “Apple” doesn’t prevent everyone else from selling any products at all with an “Apple” name – otherwise the apple orchard industry probably would’ve collapsed by now. No, Apple’s trademark only prevents everyone else from selling Apple-branded products that would potentially compete with Apple’s products, which at the moment consists primarily of computers, smartphones, tablets, and the software associated with those products. (The USPTO has an extensive list of classifications of products/services.) So, while Apple might have a reputation as being fairly litigious, they’re not going to be winning any trademark infringement lawsuits against products that are completely out of the scope of personal electronic devices just for being branded “Apple” products (like Apple Brand Rain & Stain Repellent). One of the ways that a trademark can lose its power is by becoming genericised. In one sense, having a trademark that becomes genericised is a rather good problem to have – it only happens when the product/service attached to the trademark has become so incredibly popular that people now generally associate that trademark with the product/service as a whole. There are a bunch of common examples of this that many people are probably already aware of: Band-Aid, Kleenex, and Xerox are all frequently used to describe the product generally (adhesive bandage, facial tissue, and photocopiers, respectively). One sign of impending genericization is when a trademark starts to be used as a verb: “Google” is now commonly used as a verb for web searching (nobody is “altavista’ing” or “binging” anything these days), “Xerox” for making a photocopy, “Photoshop” for editing a digital image, etc. Companies often work very hard to fight this kind of dilution of their trademarks. Google actively discourages the use of “googling” as a synonym for web searching, and Xerox went on an extensive advertising campaign just to let people know that “xeroxing” shouldn’t be used as a stand-in for “photocopying.” In these two instances, the companies’ efforts were somewhat successful in that their trademarks still retain some level of protection; however, in a more general sense it is hard to say that they were wholly successful, as people still commonly use both words as verbs. Other times, companies can yell and scream all they want about the proper use of their trademarks, and they still end up becoming genericised terms: everyone knows the (previously trademarked) word “trampoline,” but you’re likely to get nothing but blank stares if you ever tried to use the term “rebound tumbler” instead. Nintendo came close to losing its trademark on “Nintendo” when the NES dominated the market in the 1980s and the term “Nintendo” began to be used to refer to game consoles generally. If your parents are anything like mine, they probably called every game console since the mid-80s “a Nintendo.” (It’s a useful thing to keep in mind, just in case.) Just as Xerox did with photocopiers, Nintendo made a great effort to promote use of the more generic term “game console,” and when it came to people of my parents’ generation, Nintendo’s efforts had about as much success as Xerox’s had. Pictured above: Three Nintendos. Source: My mother. In this way, trademark protection is much less “solid” than patents or copyrights. When a patent on an invention is issued, it lasts 20 years. A copyright on a creative work lasts for the author’s life plus 70 years. While patents and copyrights generally are only invalidated by a court, trademarks can lose their protection gradually, just by becoming a term used in popular culture. That’s why companies will sometimes make a big deal out of protecting their trademarks – because if they don’t, there’s a good chance they might eventually lose the trademark completely. Now if you’ll excuse me, I have to go google how to photoshop a band-aid onto this trampoline. As I wrote last week, Candy Crush Saga doesn’t get King into trouble with Popcap because King didn’t copy Popcap’s particular expression of the “match-three” game idea – Popcap and King both made their own separate expressions of a “match-three” game. Obviously, straight up lifting sprites, songs, characters, etc. from another game and putting them verbatim into your game is definitely copyright infringement. But sometimes, one person’s expression can get awfully close to another person’s expression without necessarily copying it pixel-for-pixel. In those situations, we still might have some copyright infringement on our hands (and IP lawyers may sense a great disturbance in the Law). One recent attempt at Tetris flattery was so flattering that it actually went all the way to a courtroom. In 2009, a company called Xio Interactive released a Tetris clone called Mino on Apple’s App Store. To Xio’s credit, while developing Mino, Xio did contact the Tetris Company in an attempt to get an official license for Tetris. Of course, Mino would be competing with the official Tetris iOS app, so the Tetris Company refused to give Xio a license. Xio’s response was essentially, “Meh, we’re doing it anyway,” and Xio went on to release its own Tetris-esque game for iOS. Not surprisingly, Xio was subsequently sued by The Tetris Company. (Tetris Holding, LLC v. Xio Interactive, Inc., 863 F.Supp.2d 394 (D.N.J. 2012), if you’re into that sort of thing.) Now, when someone is being sued for copyright infringement, you might expect the defendant to deny copying the plaintiff’s game, or that the plaintiff’s game merely served as inspiration (e.g., Fighter’s History), or something else of that sort. Xio’s defense was that while they did copy Tetris, they did it “in such a way so as to not copy any protected elements after diligently researching intellectual property law.” So Xio’s defense wasn’t that they weren’t really copying Tetris, but that they consulted with an IP lawyer to make sure they were copying it in a way that wouldn’t get them into trouble. More specifically, they argued that they only copied the rules of Tetris – essentially, the “idea” behind Tetris – and that their game was merely their own expression of those rules. Copyright protects expressions of creative ideas (art, literature, music, etc.). Copyright doesn’t protect functional elements (like game rules), because that’s what patents are for. Copyright protects expressions of creative ideas (art, literature, music, etc.). Copyright doesn’t protect functional elements (like game rules), because that’s what patents are for. To illustrate this difference, consider the 1990 NES game Dr. Mario. Nintendo actually has a patent on the game mechanics of Dr. Mario, but the expressive elements of Dr. Mario would be protected by copyright (like the particular colors and shape of the pills, the design of the germs, Mario up top hurling the pills into the bottle, etc.). Xio argued that if the Tetris Company wanted to protect the rules of Tetris, they should have gotten a patent. Most of the time, there’s a fairly distinct difference between a game’s functional elements (game mechanics) and creative elements (artwork, music, story). But sometimes, an idea is so simple that there are only a very limited number of ways it could possibly be expressed. In these instances, the expression and the idea are said to “merge” into each other (hence, the merger doctrine). When that happens, the expression can’t be protected by copyright because it would basically mean protecting the underlying idea with copyright too, and we really don’t want that to happen. One example of the merger doctrine came up during one of the many fistfights between Microsoft and Apple in the ‘90s. (The citation for this particular fistfight is Apple Computer, Inc. v. Microsoft Corp., 35 F.3d 1435 (9th Cir. 1994).) Apple accused Microsoft of infringing on Apple’s copyright of the “trash can” icon in their GUI, but the court found that the trash can icon was virtually the only practical way of expressing the idea of deleting (or “throwing away”) files. The merger doctrine meant that the idea of deleting files in a GUI and the expression of that idea as a trash can icon “merged,” such that a trash can icon was an unprotectable element of the GUI. Therefore, Apple couldn’t stop Microsoft from using a trash can (if anything, Apple could only stop Microsoft from using an exact copy of Apple’s trash can). However, the judge concluded that Xio’s copying of all of those elements in the aggregate constituted “wholesale copying,” the only purpose of which was “to avoid the difficult task of developing its own take on a known idea.” The judge also concluded that Xio copied the overall look-and-feel of Tetris (i.e., the visual expression of Tetris). I mean, hell, many of the pieces in Mino were even the exact same color as those in Tetris. The fact that I can’t even tell right away which one of these is Tetris and which one is Mino is probably a bad sign for Xio. Though most of this case was about copyright, it also briefly touched upon trademark law. Unlike copyrights and patents (which exist to protect creators), trademark law exists to protect the public – specifically, to protect consumers from confusion in the marketplace. A trademark is “any word, name, symbol, or device, or any combination thereof” used in commerce to identify a specific product or manufacturer. The purpose of trademark law is to protect the fragile minds of consumers like us: if anyone could use anyone else’s company name or logo on their own products, unscrupulous manufacturers could try to trick consumers into thinking a product was made by someone else. For example, a new company could try design or market their product to look like it was manufactured by a more reputable or established company, so as to benefit from the other company’s reputation. Trade dress is a subset of trademark law that protects a product’s design or packaging that identifies its source: where trademarks refer to a name, logo, or slogan, trade dress refers to a particular “look.”. To qualify for trade dress protection, the design must have acquired a “secondary meaning” in the public: that means it has to be so pervasive in the market that a significant number of consumers would recognize the design and associate it with a particular manufacturer. Tetris has been around for so long and has achieved such a level of brand-awareness that many people can recognize the distinctive visual indications of Tetris (e.g., the specific colors used, the styling of words and game screens, etc.). Xio designed Mino to look so much like Tetris that a consumer browsing the App Store could easily have mistaken Mino for an officially licensed version of Tetris. (A more cynical person might think that was Xio’s intent.) If a consumer bought Mino from the App Store thinking it was a “real” version of Tetris, then Xio would be riding on (and profiting off of) the coattails of the Tetris Company. As such, court concluded that Xio infringed on the Tetris Company’s trade dress. tl;dr: If you copy pretty much everything about a super popular game, and you make your copy look so much like the original game that people will confuse the two, you’re gonna have a bad time.